Built by North Florida Builders this home boasts a highly sought after open and spacious floorplan that is perfect for entertaining and/or accommodating a large family.This home, situated on an very private lot that backs up to the woods, is not only energy efficient but has wonderful features throughout. 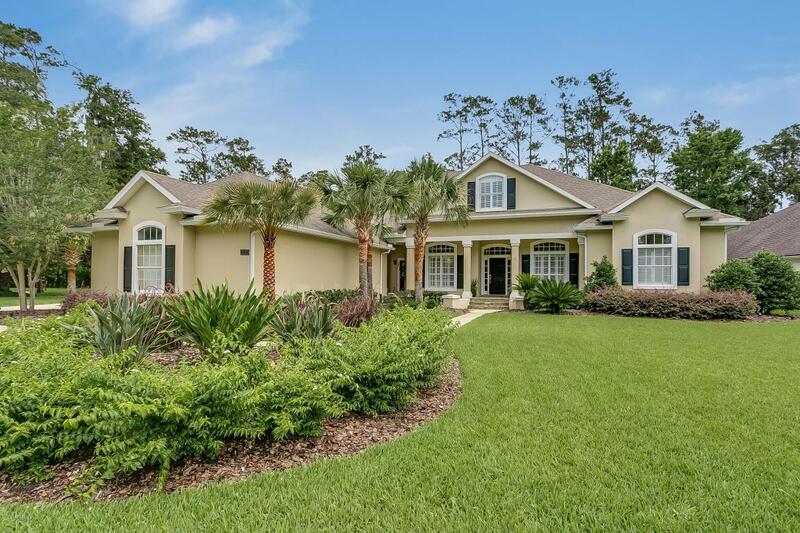 Including granite countertops, wood floors, surround sound speakers, plantation shutters, walk in closets and built in book cases in office.The recently renovated patio area provides the best in outdoor entertaining. It's a spacious retreat that includes an outdoor kitchen with a green egg, stainless gas grill and an ice maker perfect to host gatherings or simply enjoy intimate meals with loved ones. As an added bonus there is room for a pool!